“You know, that shade of green is perfect for green screen in your classroom,” I remarked to my wife, a second grade teacher. We had just finished setting up one of her bulletin boards. I opened up the Green Screen by Do Ink app and aimed it at the bulletin board featuring her class rules. Sure enough, the rules appeared to float on a sea of black (evidence that the shade in green butcher paper was perfect). Have you considered that an inexpensive green screen is only a sheet of butcher paper away? 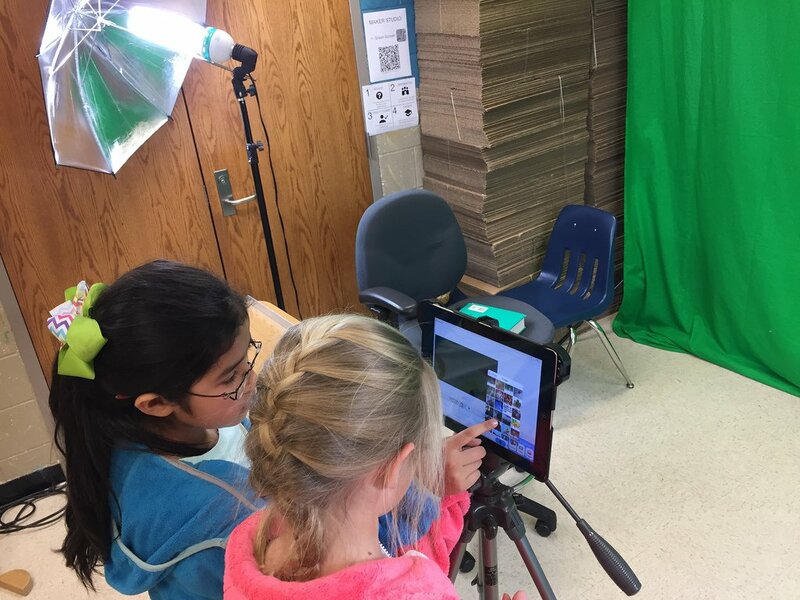 In this blog entry, we’ll explore a variety of ideas for using green screen in the classroom. These are ideas curated from various Twitter feeds and blog entries available on the web. Let’s start with the basics. 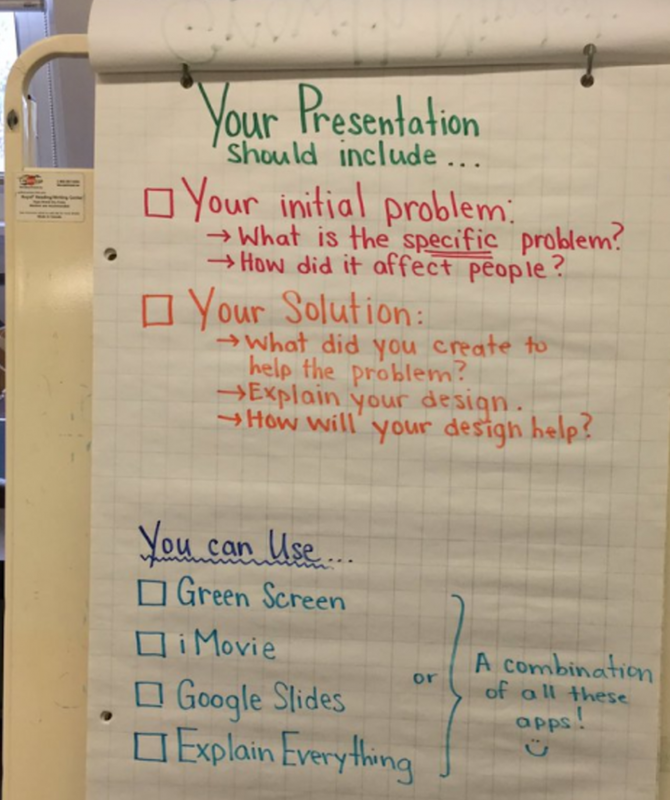 You may also want to read my previous blog entry, Four Tips for Green Screen in the Classroom. A green screen allows you to display video or images of far-away places. At the same time, you can have students in your classroom speak to what is displayed in those images or videos. Think of the local television news weather personality. The weatherman spends his time in front of the screen using a large television screen monitor off to the side as a reference point (see the above example from a Facebook Live broadcast from KENS 5 Television in San Antonio, Texas during an early August 2017 thunderstorm). To get started, you will need a screen solution (e.g. the right shade of butcher paper, a $.99 green tablecloth from Dollar Tree, or green cloth) and one of the apps below. If you have an iOS device, the best app on the market is Green Screen by Do Ink, although you can accomplish even more with Touchcast (but some find it a little difficult to understand at first). Let’s take a look at a few activities to get going with green screen. Ready to paint your wall green? Try green screen paint from Home Depot (e.g. Sparkling Apple). Get inexpensive green tablecloths from Dollar Tree and hang those up, using tape to smooth out wrinkles. If you are shooting with two different green sources such as a painted platform and a cloth/tablecloth backdrop, it’s best to match the color as close as possible between the two. You can also build your own portable green screen out of PVC pipe. You can also pick up green paper plates and more to create a porthole in a ship or cockpit in an airplane or spaceship. 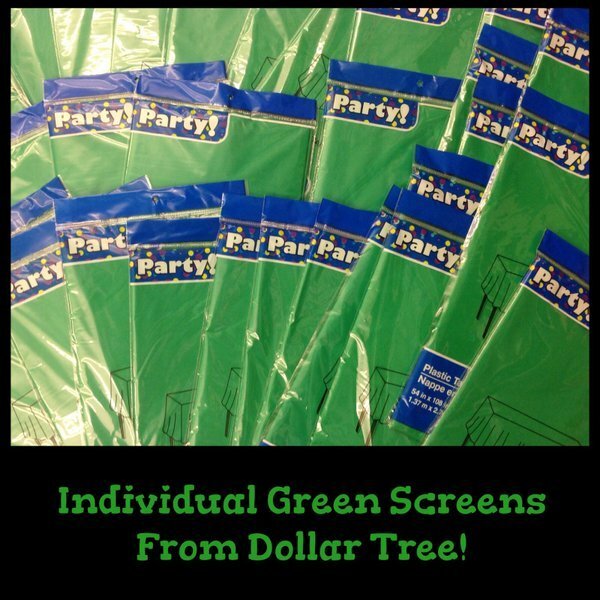 Use a wall-based green screen, green tablecloth, or mini green screens using a green file folder. Get the green three-tab file folder from Staples. Pizza boxes spray painted green will also work well. Affix student creations, LEGO people, and other props to green craft sticks or green straws or suspend them with all-purpose green thread as you would puppets in front of a green screen. The green craft sticks and thread become invisible due to their color, allowing them to be suspended in mid-air. If you want to manipulate objects with your hands, why not wear green gloves? Green gloves can make your hands invisible. You can get disposable, green latex, powder-free gloves at a low cost. 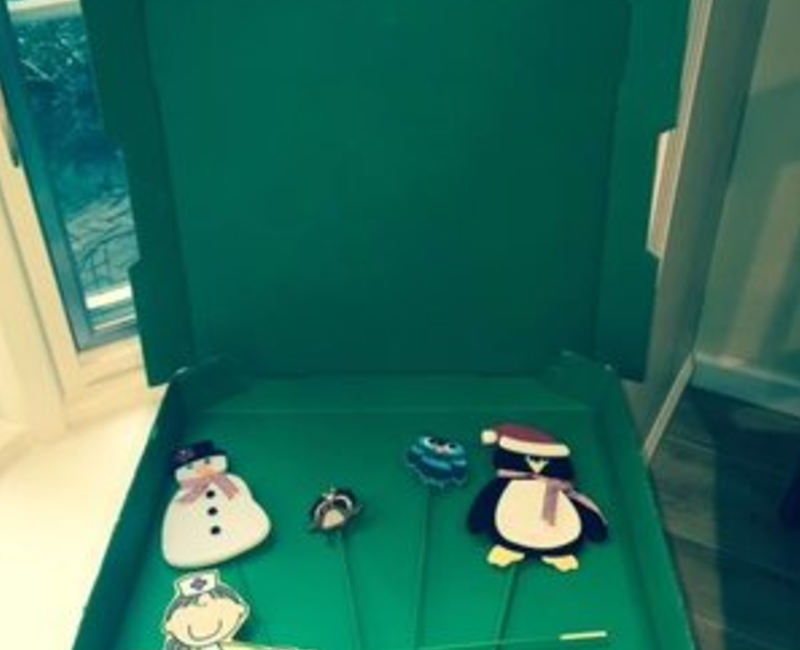 Why not create a video diorama using a green screen pizza box or box? Students can populate their creation with action figures that they move around with green rulers or straws (or suspend with green string). This adds another level of excitement and animation to the dioramas once created out of shoe boxes. 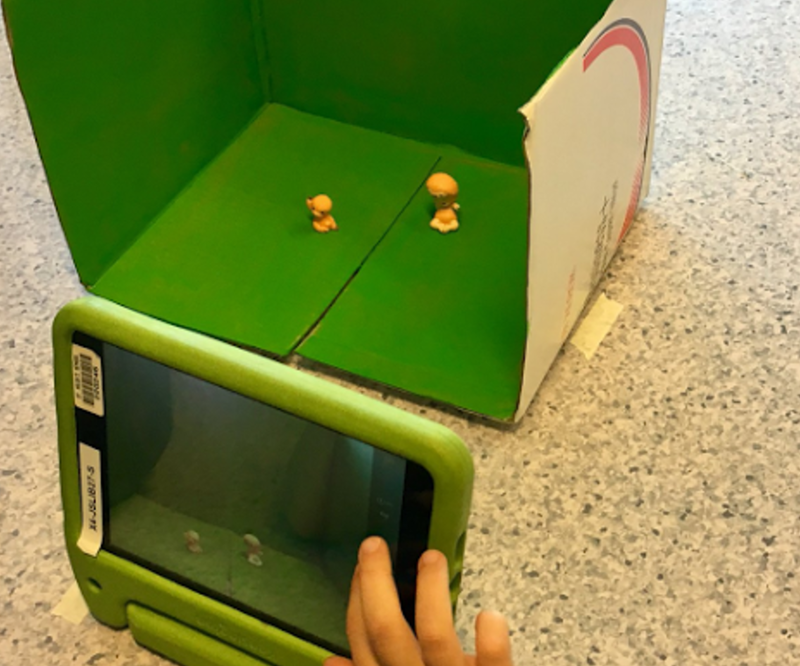 Students can also recreate scenes from their favorite movies, using action figures against a real life backdrop. Consider dinosaurs, Star Wars, or Star Trek as ways to create engaging plots and stories that explain academic topics. Can your students retell a favorite fairy tale or myth using Star Wars characters? Curious about more activities? Find more of my curated resources online. Also, follow @doinktweets and Tricia Fuglestone (@fuglefun) Twitter accounts to see fresh ideas about green screen use. I Love My Cell Phone!